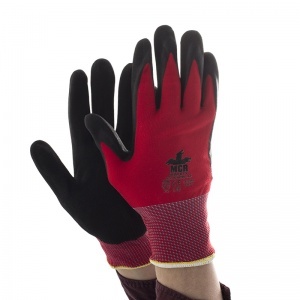 The MCR Safety GP1005NA Nitrile Air General Purpose Safety Gloves provide a fantastic grip in oily conditions, ideal for manufacturing and rail industries. 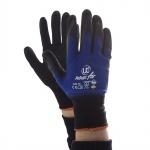 Their ultra lightweight design and tight fit makes them incredibly comfortable and easy to wear. 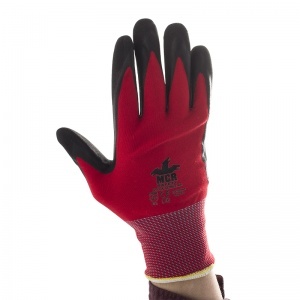 To ensure your hands are as comfortable as possible while you work, the MCR Safety GP1005NA gloves feature a tight fitting and ultra lightweight design, making it incredibly easy to make natural and comfortable hand movements. 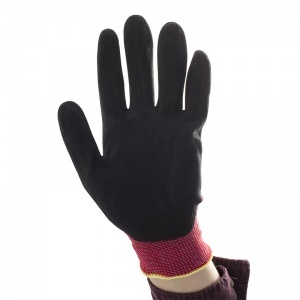 This also gives the gloves a fantastic sense of touch, helping you ensure that you can actually feel everything you hold and touch. What's more, the Nitrile Air coating also makes the gloves incredibly breathable, helping your hands stay even more comfortable for longer. 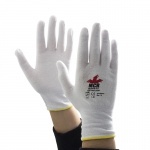 To give the gloves a fantastic hygiene and comfort level, the MCR Safety GP1005NA gloves utilise an antibacterial coating, helping the gloves feel fresher for longer on your hands. 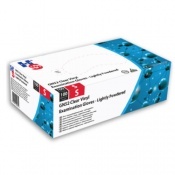 This not only ensures that your hands feel good in the gloves, but also enables you to keep your work as clean and hygienic as possible. Using a nitrile coating over the fingers and palms, the MCR Safety GP1005NA gloves provide a fantastic level of grip in oily conditions, especially on abrasive objects. The coating helps you ensure that you have a secure grip in potentially dangerous conditions .